If you’ve been following me lately you probably realized the focus has been mainly on Patek Philippe watches. The reasons are many and I will share them with you so that you also will realize no other investment is as safe and enjoyable as this. 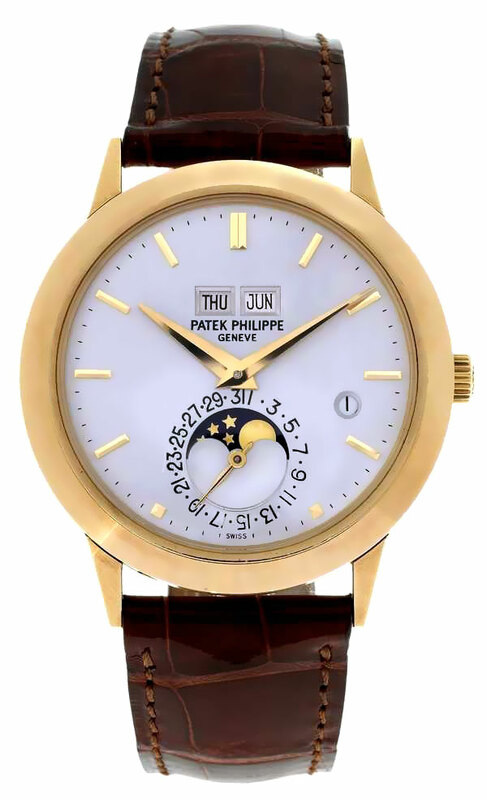 Patek Philippe is an independently owned watch making firm that has almost 300 years of history. It is owned by the Stern family from Switzerland. The current president is Thierry Stern , son of Henry Stern the former President. This is a very important fact because the Stern family has been committed to the brand for almost a century striving for quality and excellence in every single endeavor taken on. They are not influenced by any share holders,reports,fashion and trend. Their only goal is to provide the best product and the best service without ever bending to the necessities of the market or cutting corner on cost. This can only be done if you wholly own the company and your strategy is quality and maintaining your reputation as the prime watch maker in Swiss horology. At this time , Patek Philippe manufactures all it’s time pieces in house. That means they control production and quality check from inception to delivery. This applies to dials,bracelets,hands,movements of course , the whole nine yards. All made to perfection and all HAND MADE by the most talented watch makers and jewelers in Switzerland. We are not talking about single custom wathces , we are talking about in-series production which is all hand made one by one from A-Z. The greatness of Patek is that to my knowledge , it manufactures about 25000 units a year of Men time pieces. How many Nautilus 5711 can there be out there?? How many 5205G can there be? Very few , I guarantee you. An easy comparison: Rolex has been producing over 1 million pieces per year , YES over 1 million pieces!, since the 60s. How many Submariners are out there? and vintage Daytonas are supposed to be rare?! All is very limited in Patek production and very much in demand. The old supply and demand rule works perfectly in this scenario. These watches are like gem stones, only that there are far less Pateks in the world than Diamonds and Sapphires. The buyers and collectors of Patek Philippe are the most discerning and sophisticated group. It’s a club that it’s a pleasure to be in. A club that includes millionaires,billionaires, Head of states, captains of industry and people with the most refined taste out there. Everybody can buy a gold Rolex but just people with a high level of sophistication will choose a Patek and recognize it’s beauty and quality. The after sale service is remarkable as Patek stocks all the original pieces they produced since the 1800s. They are able to restore all their production to it’s primal beauty. They even kept all their original machinery from days long gone to be able to do this. Which other watch company stands behind their production since the 1800s?? For me it all started when I was still in the custom clothing business. 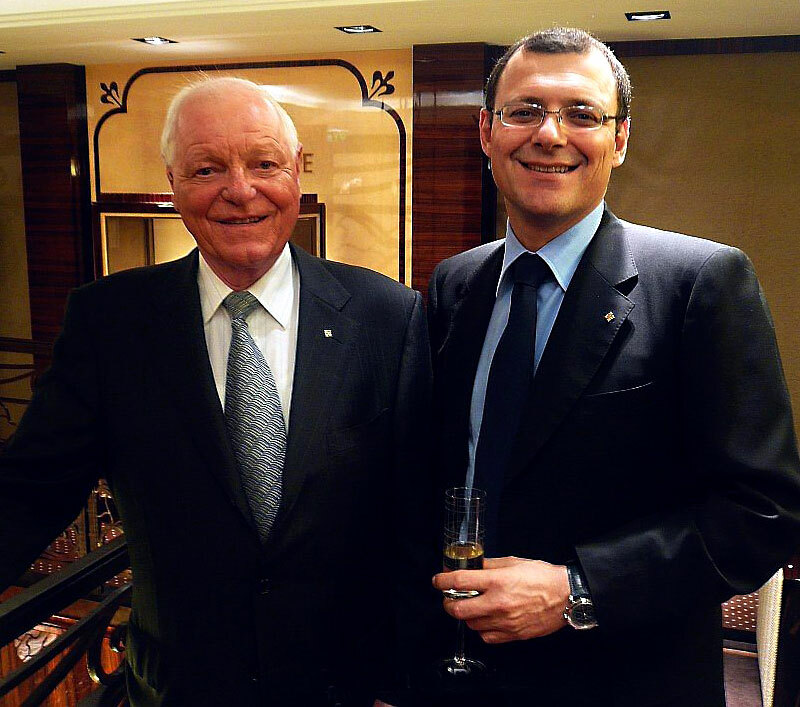 One of my best clients is arguably the world’s foremost Patek Philippe collector. I would regularly visit to serve him and would admire his collection and passion but I still wouldn’t get it. I was a Rolex fan and I wear Rolex since I am 20 years old. I just couldn’t understand what’s all the fuss about. These look like classic watches,yes they are beautiful but I am not in love. I just couldn’t understand them. As I started getting more and more interested in watches I fell in love with the Patek Philippe Nautilus , no other watch I desired and appreciated more. I started doing research and learning about Patek and it’s greatness.. The complications are obviously Patek’s strength. A complication is a watch that features a movement that tells more than just the time. It may tell you the day,date,month and showcase a moon phase display while having perhaps a power reserve indicator. Possibly even more functions can be added such a perpetual calendar , a chronograph and God knows what else. All this cased in a small 36,37,38 and up to 41mm max gold or steel piece. Do you realize how small these movements are and the amount of tiny parts that go into them? The skill it takes in planning and assembling the myriad of components that are as big as a bacteria is astounding. The investment appreciation factor is obviously very important as this is my business. Patek Philippe watches have been a safe investment for years. Not only can you wear them and enjoy them but you can also make a profit at the time of resale. Christies , Sothebys and Antiquorum are witnesses to the phenomena that has been growing in the years. What I sell you for 30k today, I will have to buy at 30k the day after from my supplier. A further proof that these watches are so limited and in demand they appreciate by the hour. As my collector client said back when I wasn’t in the business and we were talking real estate investments : ” I INVEST ONLY IN PATEK PHILIPPE” . Sir, I don’t blame you.